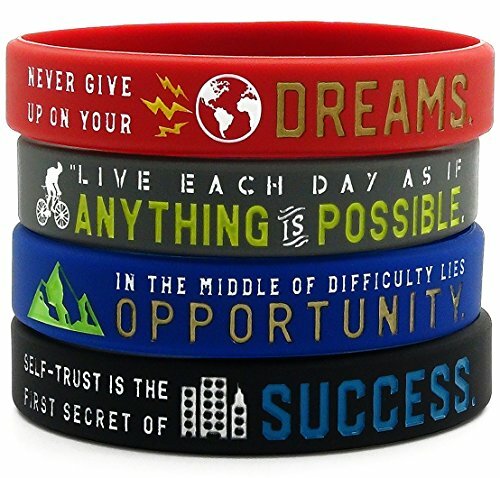 This set of 4 inspirational silicone rubber bracelets includes the following motivational messages: "Never give up on your dreams," "Live each day as if anything is possible," "In the middle of difficulty lies opportunity," and "Self-trust is the first secret of success." 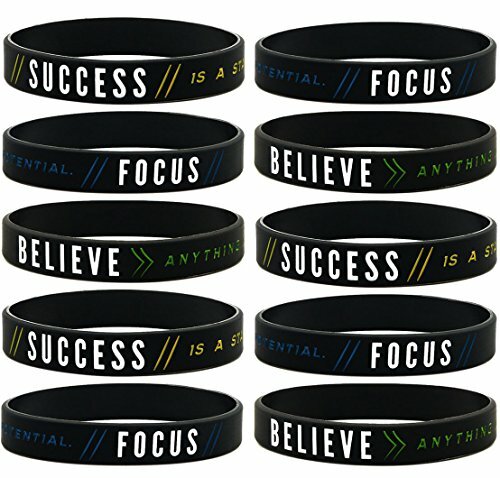 These wearable positive affirmation wrist bands are both stylish and practical, and can help to encourage you to keep pushing to achieve goals in your personal life, and in your business, health, and fitness. Size: 8 inches around (adult unisex size); Slightly stretchable. 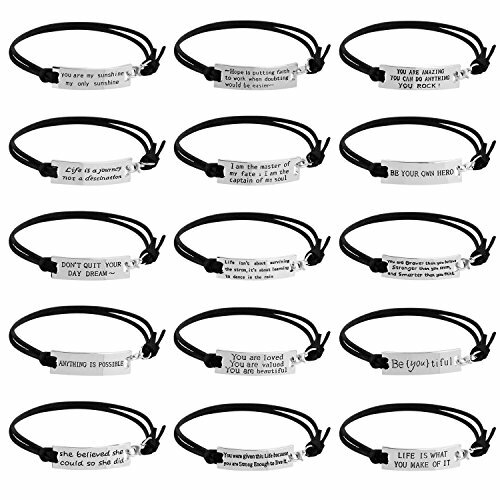 This set of of 6 silicone wristbands with motivational messages comes in standard adult unisex size of 8" around. 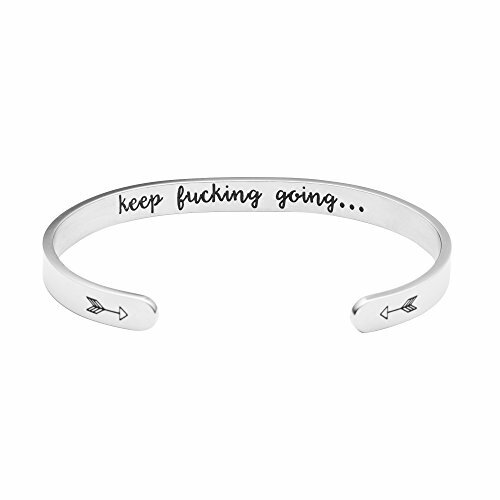 These wearable positive affirmations can compliment any fitness wear & serve as daily reminders to keep pushing forward toward your goals. 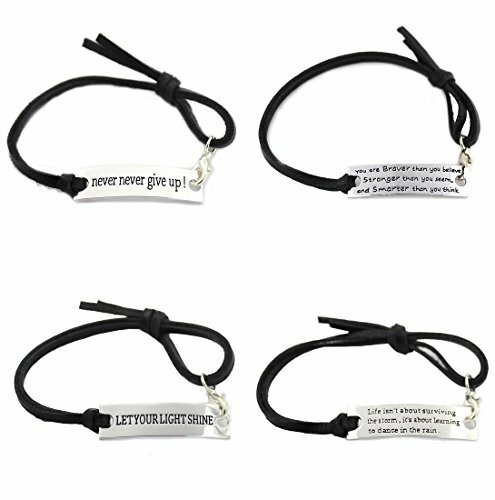 Our silicone wristbands are all debossed with specific quotes to keep you motivated throughout the day. 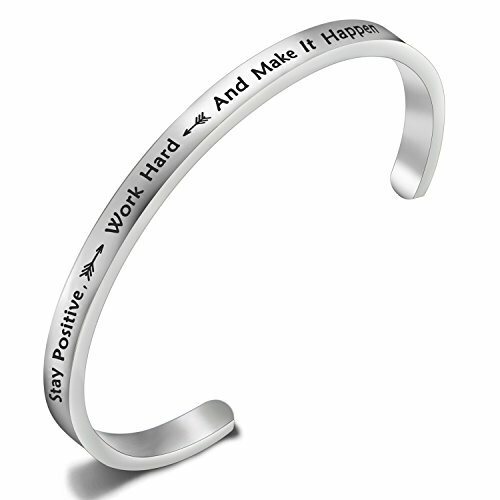 This wristband features complimentary quotes with one on the front and the other on the back. These are a great simplistic way to help you stay on track. Each wristband comes in sleek stylistic colors to help match your daily outfits. 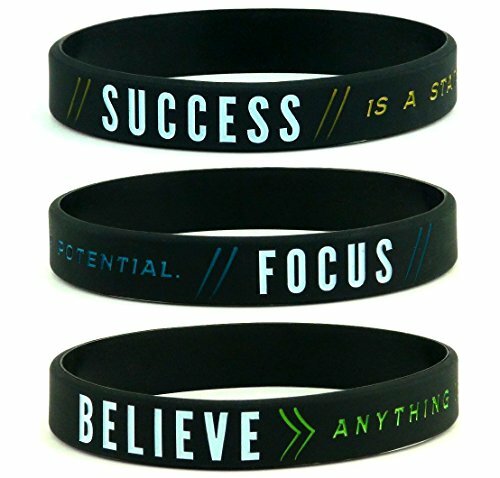 Silicone wristbands can be worn during workouts, basketball, running, weightlifting, and almost another other sport. 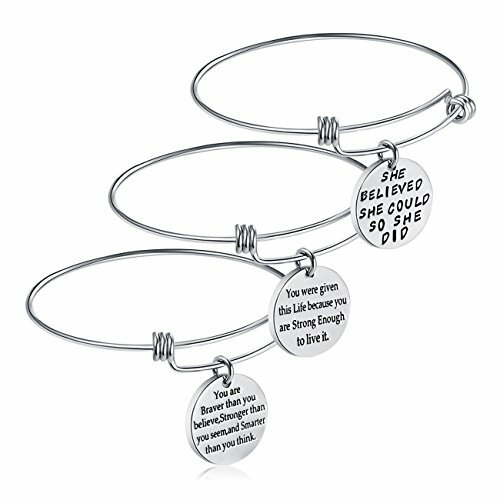 They are the perfect accessory to wear every day. 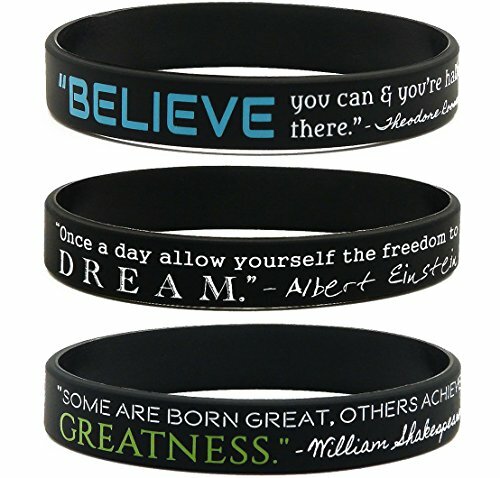 This variety pack of silicone rubber wristbands includes 3 designs with famous quotes: "DREAM" by Albert Einstein, "BELIEVE" by Theodore Roosevelt, and "GREATNESS" by William Shakespeare. 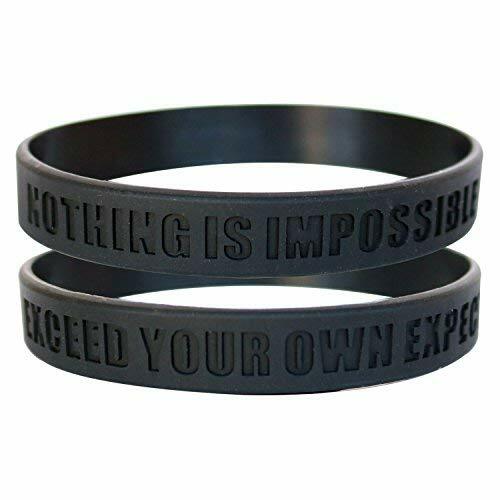 These unisex adult bracelets are recommended as party favors for teenagers and adults, and as bulk giveaway items for conferences, company gatherings, and events. Solza Motivational Silicone Bracelets Set by 4x "Get Stuff Done" Silicone Wristbands + Thin Blue Line Bracelet + Thin White Line Bracelet | Unisex Colored Wristbands, 8"